Lisa of Sleepy Robot 13 has been selling on Etsy since October 2009. Even though it hasn't been a full year, she is making huge waves. 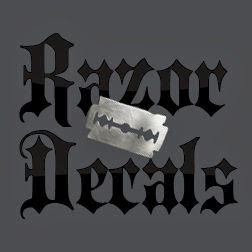 In addition to the Sleepy Robot 13 Etsy store, there is also a blog, flickr page, and informative home page. 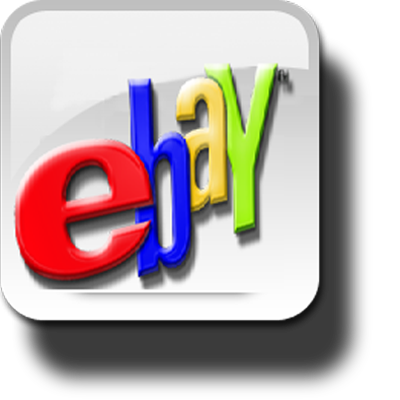 Lisa offers tips to other artists and sellers and has had her work featured on several other websites. Some places where you may have caught Sleepy Robot 13 include Business Exchange, Robot Snob, Nerd Approved, Canadian Family, Yo Kiddo, Street Level, and Plastic & Plush. "Sleepy Robot 13's goal is to spread the idea that clay figures can be just as detailed and collectible as vinyl designer toys. Clay figures are sculpted, painted and glazed by hand and are often one of a kind making them the ultimate collectors item. Many sites now have sections for resin and even paper toys, why not clay?" What were the first creations you made? "Action figures of my friends. 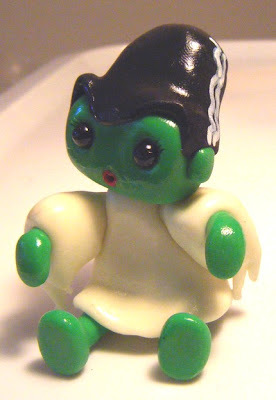 My first detailed creation was an action figure of my best friend Vanessa called the "Napkin Ninja"." Which do you prefer, toast or robots? "Hmm, that's actually really tough to answer. They are both items that should really not have personalities due to the havoc they could wreak upon the earth... I think that's why I like making them so much! It's definitely a tie." 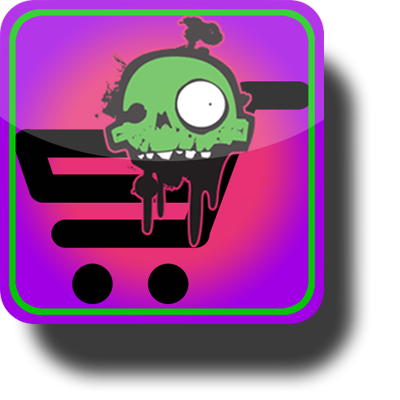 How did you first get the idea to create zombie toast? "A friend of mine has toast every morning for breakfast. Wanting to try something different one day, she put a piece of dark rye bread in her toaster. When it came out, the 1st thing that came to mind is that it looked like zombified toast. 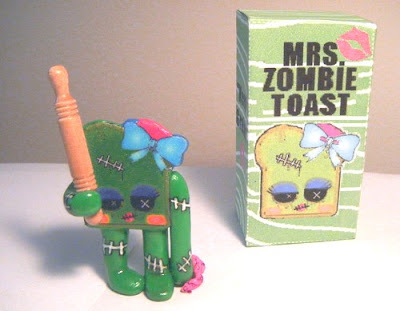 After that, whenever she made toast I'd ask her if she was making "Zombie Toast". 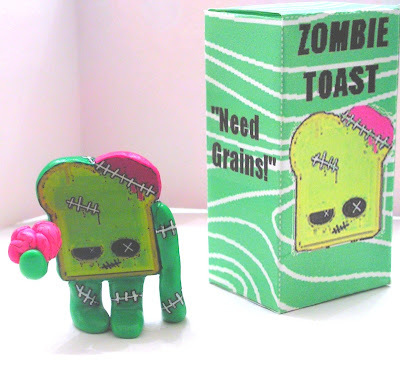 A few weeks later I made my first zombie toast figure and gave it to her as a birthday gift. He still sits in her kitchen to this day." "Dead Alive! Not much beats killing zombies with a lawnmower!" 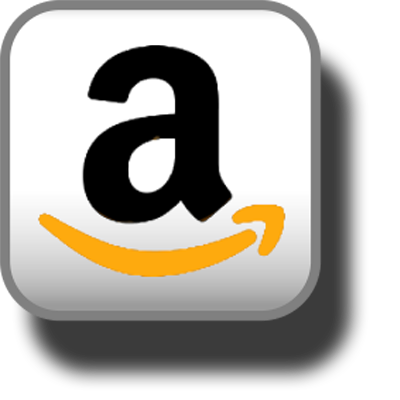 Favorite zombie book, movie, game? Game: I really like the Resident Evil games up until the rail shooter..."
If you were bitten, would you want shot or left to change? "I would change but then I would want to be shot just so I can see what it feels like." 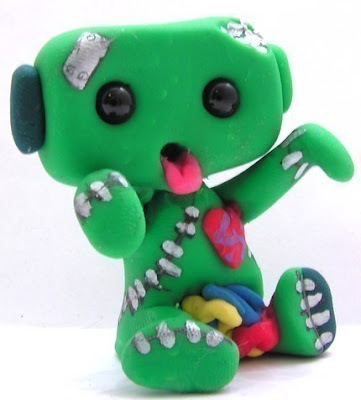 If we were making a toy of you, would you be a zombie or survivor and what accessories would you come with? 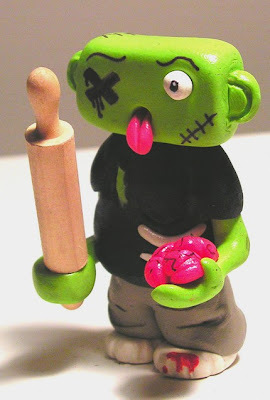 "I would be a zombie and my accessories would include a turkey baster, licorice intestines and a clown with no head." These are incredibly detailed and just amazing! Those are some of the cutest zombies ever!